This German shower column is manufactured with chrome on brass for superior quality and longevity. 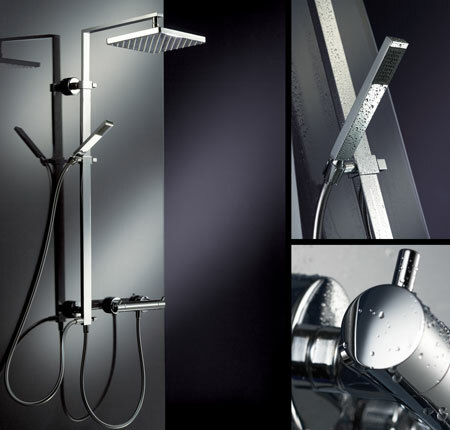 This multi function shower column consists of a 250mm square shower head and a handy hand held shower head which is on an adjustable slide rail. This shower column is controlled by a separate thermostatic shower valve which is available as an optional extra. A minimum of 2 bar water pressure is required to operate.